English Pianist Sam Armstrong has performed across Europe, Asia and North America as recitalist, chamber musician and orchestral soloist. He has performed at some of the world’s most important concert halls including the Royal Festival and Wigmore Halls in London, the Concertgebouw Amsterdam (as part of New Masters Series), Bridgewater Hall in Manchester, Kumho Art Hall in Seoul, Esplanade in Singapore and made his New York solo recital debut at Carnegie Hall’s Weill Recital Hall in January 2009, as winner of the Nadia Reisenberg Recital Award. He made his South American debut with performances of the Schumann Concerto with the National Symphony of Ecuador conducted by Emmanuel Siffert. He has also appeared at international music festivals such as Ravinia, Banff, Prussia Cove, Aldeburgh, Ryedale, Mecklenburg-Vorpommen and Les Heures Musicales du Haut-Anjou. 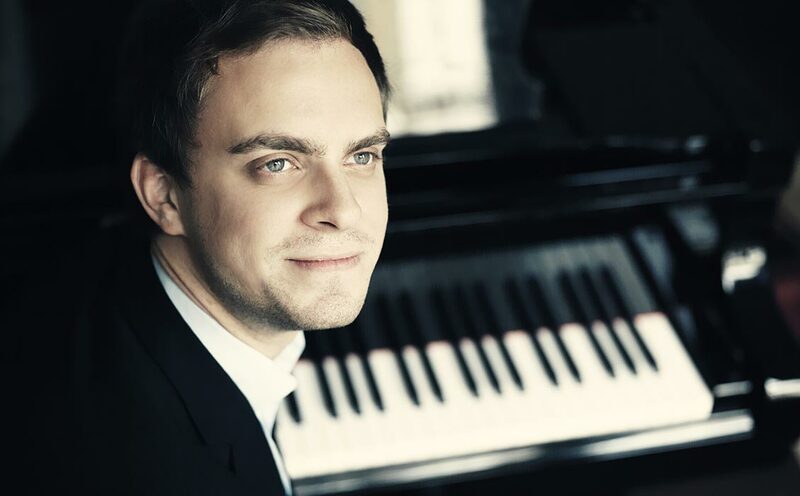 Sam made his solo recital debut at the Wigmore Hall in London in April 2011 as an award winner of the Kirckman Concert Society, which according to International Piano “revealed him to be a major new talent”. His performances have been broadcast on BBC Radio, French Television, Radio Suisse-Romande/Espace 2, Radio New Zealand, Radiofusau Portugesa and WQXR New York. He also performed as concerto soloist with the RNCM Symphony Orchestra in Manchester with Douglas Bostock and the Orquestra Nacional do Porto in Portugal under Marc Kissoczy. Sam has been a top prizewinner in national and international competitions including the Beethoven Society of Europe Competition in London (2003) and the Porto International Piano Competition in Portugal (2004). He was also laureate of the Epinal International Piano Competition in France (2001) and in 2007 was among the last six pianists in the prestigious Concours Clara Haskil in Switzerland. Sam recently completed his studies at Mannes College of Music in New York where for four years he was the only student of renowned pianist Richard Goode. There he earned a Master’s Degree and Professional Studies Diploma and was awarded the Newton Swift Piano Award upon graduation. He previously studied with Helen Krizos for several years in Manchester at the Royal Northern College of Music, and he also worked with John O’Conor in Dublin. He also received valuable inspiration from masterclasses with Leon Fleisher, Mitsuko Uchida, Menahem Pressler, Murray Perahia, Pierre‐Laurent Aimard and Mstislav Rostropovich. Sam is extremely grateful for invaluable support he has received from Aldeburgh Residencies, the Else and Leonard Cross Charitable Trust, the Philharmonia Orchestra/Martin Musical Scholarship Fund, MBF Music Education Fund, Mannes College, the Wingate Foundation, the Goldsmith Foundation and the Solti Foundation.